Rally racing has never been so much fun. Rally racing is mainly a European based sporting event, consisting of manufacturer customized stock style cars racing against the clock. Before I began this review, I didn't know much about rally racing as I had never been given the opportunity to watch it due to the limited television coverage of this sport in North America. However, after playing Colin McRae rally, I find myself watching it every chance possible. Who would have thought watching Rally Cars drive around by themselves could be entertaining? With cars flying through the air over the crest's of hills and shooting mud into the air from the spinning tires, how could it not be exciting? Colin McRae is known as one of the most popular and skillful drivers on the Rally racing circuit. 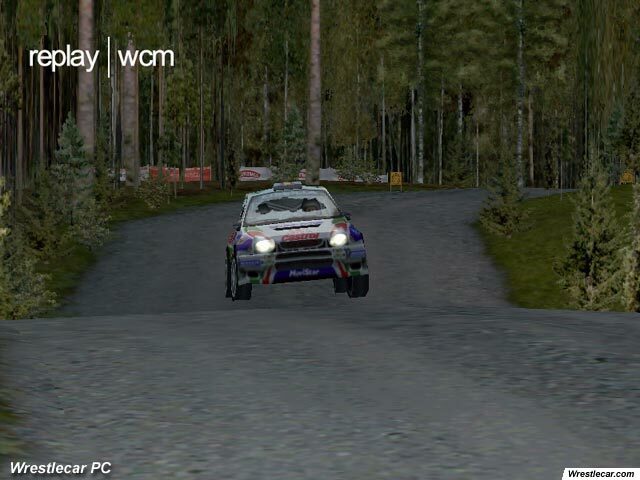 Colin McRae Rally 2.0 is the second installment of his popular rally gaming series. 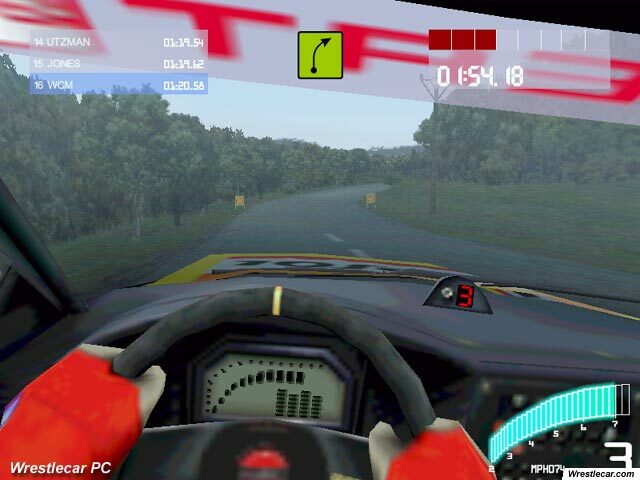 Developed and Published by UK based Codemasters, Colin McRae Rally 2.0 is the sequel to the ever popular Colin McRae Rally which was originally published in April 2000. 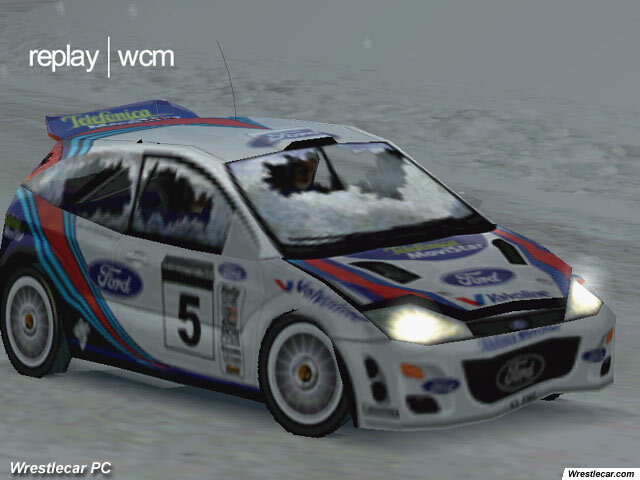 Now, Colin McRae Rally is a part of history as we move forward with Colin McRae Rally 2.0. 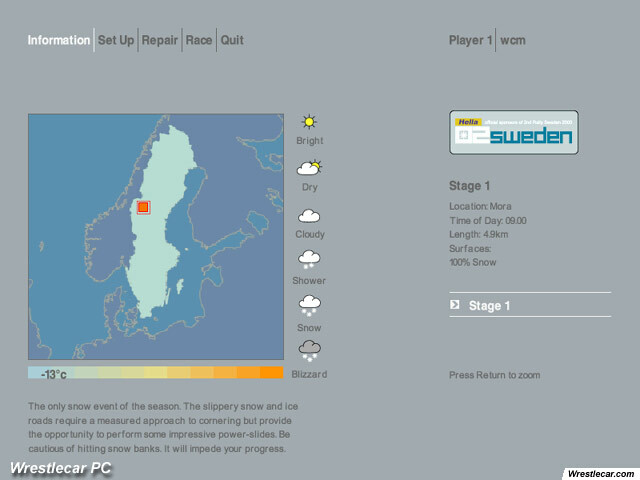 Installation of Colin McRae Rally 2.0 was a breeze with no technical problems at all. After installation and a reboot, I began the game and setup my controller and the graphics settings. I began a simple race, and suddenly, the game froze completely solid about 9 seconds into the race. This happened several times before I viewed the readme file looking for a possible fix. I was unable to find a solution until I headed over to the Codemasters website seeking technical support. Through the frequently asked questions list, I discovered the problem was with the specific set of drivers I was using for the Voodoo 3 2000 video card in the PC. This was the most recent set of drivers, the last produced by 3DFX, and I was forced to downgrade these drivers to get the game to run. As soon as these drivers were changed, the game ran smooth. I wouldn't blame Codemasters for this, but felt it was important for anyone using a Voodoo3 video card and experiencing these same problems. Once I got the game running, it was very stable and ran very smooth. The interface is very clean but does not have any mouse support. Controller setup was excellent, and graphics can be turned down to suit the capabilities of your computer. 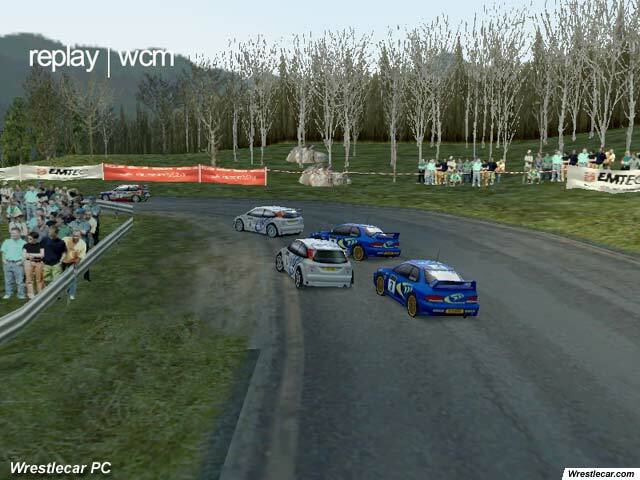 Colin McRae Rally 2.0 features over 90 racecourses with multiple countries to choose from. Although some of these courses are just mirrors of other courses, they are a totally new experience to drive on. After selecting a course, you are asked to choose one of the 20+ vehicles included in the game. The next menu is the track and setup information page where you can modify many areas of the vehicle and tune them to your liking. The final step is to head out onto the track and take the green flag. 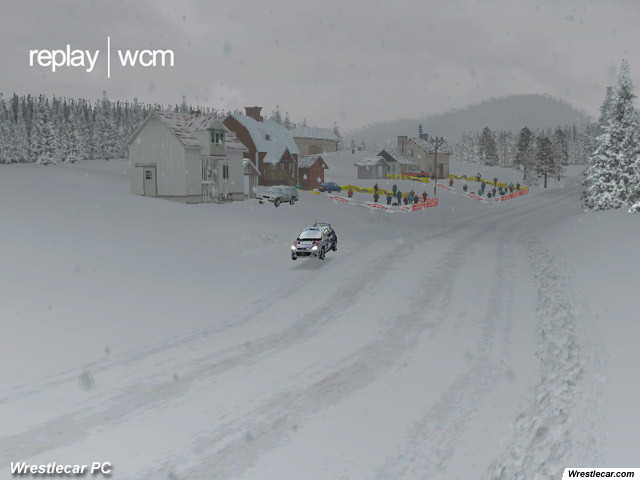 The physics in Colin McRae Rally 2.0 are very close to what would be expected if you were driving a rally car. I will say firsthand, I have never driven a rally car, nor sat in one for even a minute. 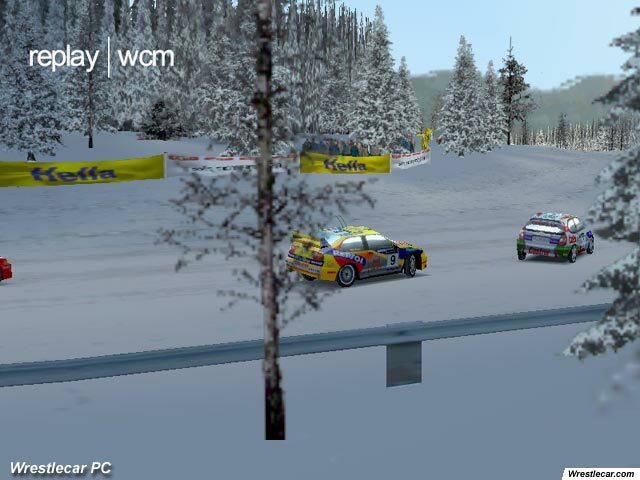 Races on television may be deceiving, but from the visuals that are displayed while watching these races, the physics in Colin McRae Rally 2.0 appear very realistic. The cars drive very loose and the weight transfers while traveling around the corners at high rates of speed appear very realistic. In hard impacts and wrecks, players can roll the cars upside down. Should you drive over the crest of a hill at a high rate of speed, expect to catch air before landing. Drivers will notice bumps and lack of traction on different types of surfaces. Driving on pavement or gravel may seem easy with practice, but should you head out onto a snow-covered surface, be prepared to learn how to drive all over again. Colin McRae Rally 2.0 accurately portrays the handling characteristics and traction control seen in real Rally racing, and shows how challenging it actually is to be competitive on the Rally circuit. 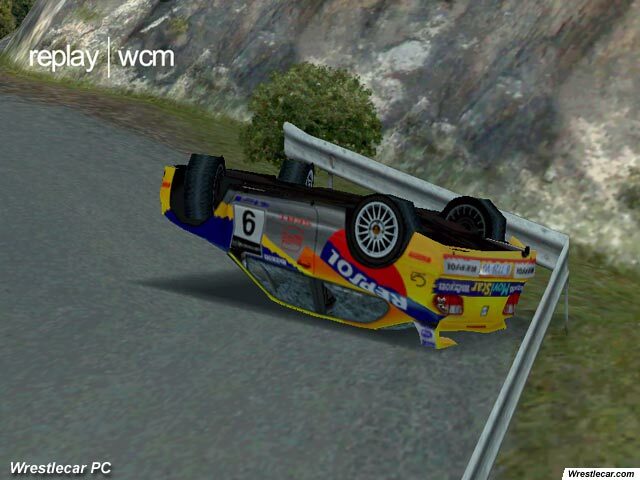 Crumpled fenders and shattered windows are just the beginning of the damage model in Colin McRae Rally 2.0. If you have ever watched a rally race on television, it is not uncommon to see those drivers lose control and end up in a ditch or into a wall, usually resulting in heavy damage to the vehicle. Damage modeling is a very important aspect of any racing simulation, and Colin McRae Rally 2.0 offers a unique method of implementing damage. Shattered windows appear to be the main source of displaying damage, as well as broken taillights, crumpled fenders and a flapping hood should you incur a front-end impact. A few problems arise with the damage model, as it is very forgiving and takes a lot of beating and banging to damage the body of the car. Windows will often shatter before any of the body is crumpled, which is the biggest downside to the damage model. Cracked and broken windows are a nice effect, but do not portray the actual damage that these cars can undergo in a wreck. Overall, the damage modeling looks appealing, but could be improved significantly. Graphics are an important aspect of any simulation, or any game in general. Codemasters has invested a lot of time into improving the quality of graphics between Colin McRae Rally and Colin McRae Rally 2.0, and they have succeeded in doing so. The tracks are highly detailed with many objects around the course. 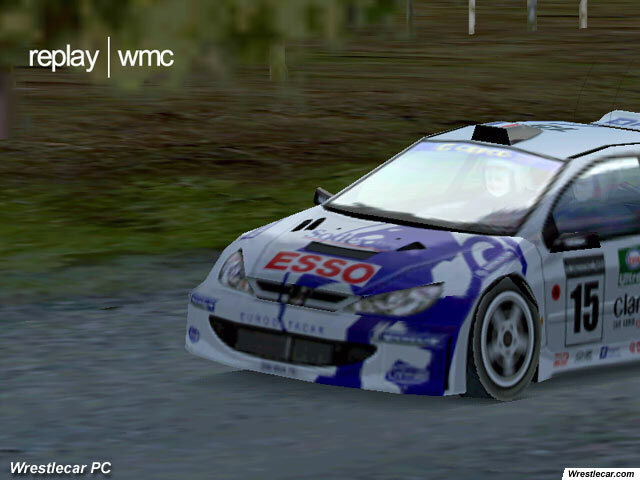 Colin McRae Rally 2.0 also features some of the best car models ever seen in a racing simulation. These car models are highly detailed, and look very similar to their real-life counterparts. Rally racing is known for its on-the-edge driving style, but without sound effects the whole excitement rating would suffer. 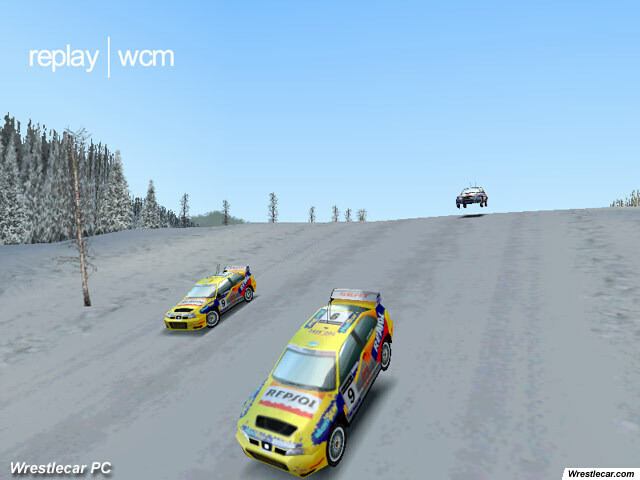 Sound in Colin McRae Rally 2.0 is excellent and is one of the highs in the game. 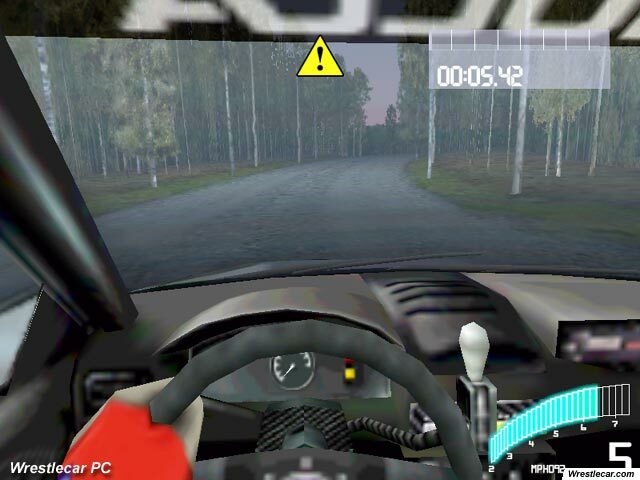 While driving in the cockpit, you hear the engine revving to its max, while at the same time, hear the rear wheels riding along the track. Sound effects in wrecks are excellent, with the shattering of glass and the screech of metal as the car body impacts the steel barricades. 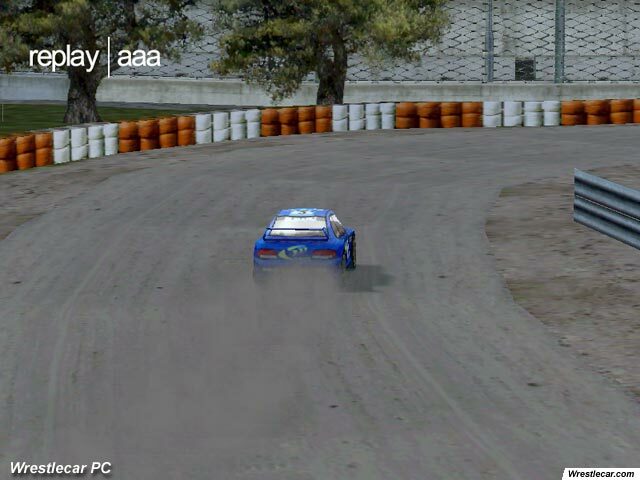 Your co-driver assists you in driving around the track by informing you of upcoming corners and obstacles. Codemasters has excelled in the area of sound, and it shows in the final product. 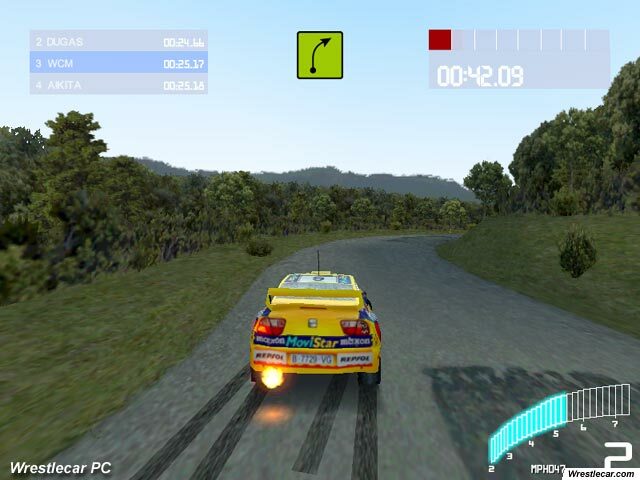 Colin McRae Rally 2.0 features multiple racing modes that allow players to compete in a variety of race types. 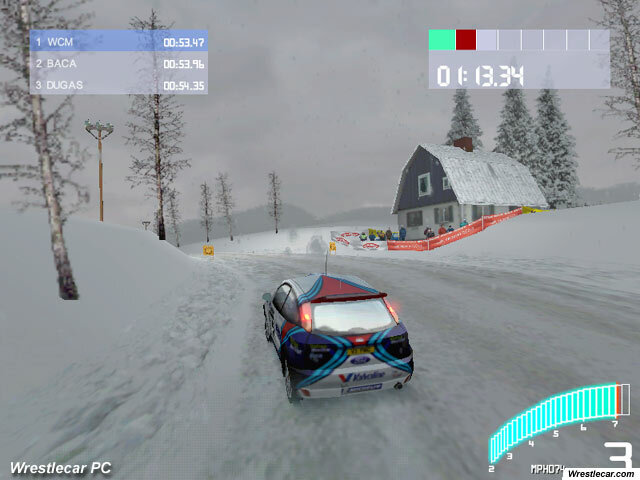 Single player races are common and allow a player to get some practice on a selected course. Arcade mode is a head-to-head competition between the player and up to five AI opponents. Players can also create and race in championship seasons. The goal here is to attempt to remain consistent and finish well, something that is very difficult to accomplish. 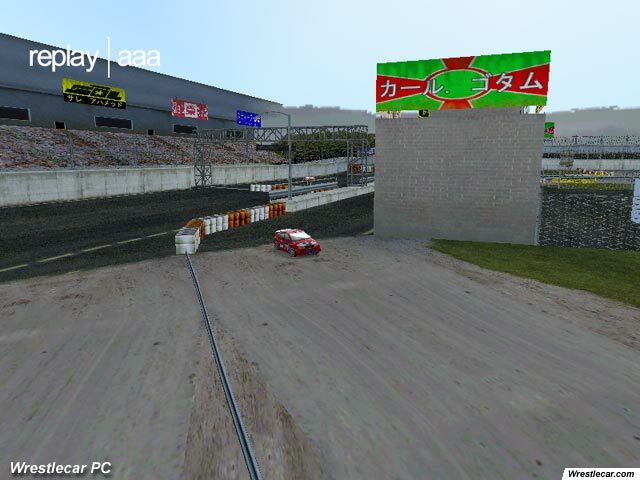 Also, Colin McRae Rally 2.0 features several "special" stages which are more of an obstacle course. These stages work as training grounds for learning to control the cars, and allow you to race against an opponent to see who can complete the course in the least amount of time. 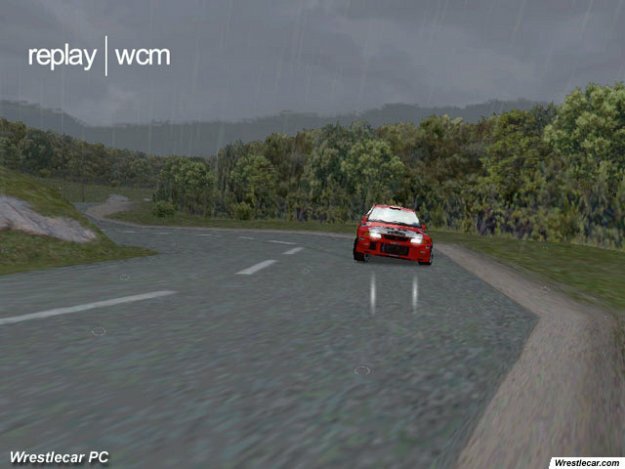 These features are excellent, however the multiplayer aspect of Colin McRae Rally 2.0 is not up to par with the rest of the game. A multiplayer matchmaking service is not included, and is near impossible to find a race to join as this title is not even supported by many 3rd party matchmaking programs. Overall, single player modes are excellent, but multiplayer needs a lot of work to be successful. At the conclusion of races, players are welcomed by a television style replay. This replay will review the whole race and repeat automatically with no controls to select or change the current camera view. 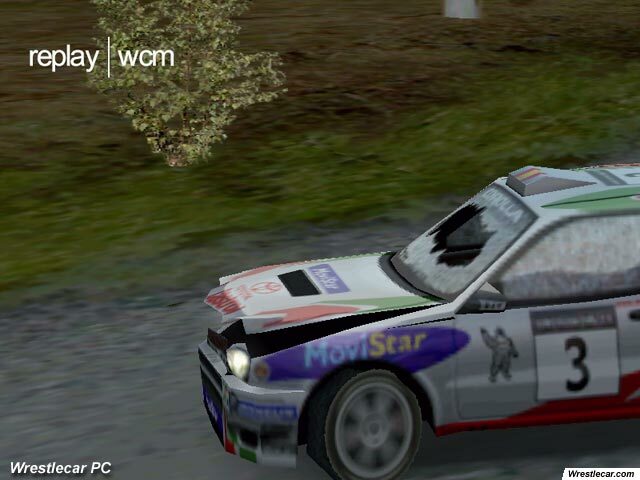 Also, Colin McRae Rally 2.0 is one of the only recent games that do not allow replays to be saved and viewed later. Once you exit the replay, it is gone and cannot be viewed again. Replays should be able to be saved, especially in a game like this where many players use past replays to learn from their mistakes. The replay feature looks good while it is playing, but the lack of a save feature is a problem. Overall, Colin McRae Rally 2.0 is a mix of realistic and arcade gameplay. The single player modes are extensive and will keep avid fans of the genre at their wits ends for hours.